As a first-generation American, Lapin was raised in a household where financial literacy was not primarily taught or spoken of. Growing up, at age eleven, she encountered the loss of her father due to a drug overdose and a lack of guidance from her mother. During this time, Lapin describes seeing her parents primarily make money moves that were not the most ideal. This sparked her desire to write a new trajectory for her future. By starting from the ground up, Lapin expresses taking any job she could from working at a low salary to accumulating credit card debt, and more. Finally, with determination and grit, she landed a job as a business reporter and it just happened that the role was in the field of finance. While feeling clueless and freaked out about the language of money, Lapin explains that she had to learn the language of money the hard way because her job demanded that she spoke it to the world. At the “school of hard knocks” the financial expert, who then was the process of acquiring greater knowledge, details that she encountered a plethora of funny affirmable moments along the way. Through her work, Lapin shares these experiences to challenge others to embrace being comfortable with learning and growing through unfamiliar spaces. For example, while Lapin was on the floor of the Chicago Mercantile Exchange she gathered her belongings to head to an interview with a few founders. On her way out she recalled her manager asking: “Do you have the P&L?” And she responded: “No” staring with a puzzled grimace. “No, I don’t have to pee,” she thought to herself. In another instance, Lapin describes thinking that a former boyfriend was a garden “hedge manager” given his role at a hedge fund. To Lapin, money has served as a language to be learned and one that we often don’t realize can serve as the biggest hurdle for bridging avenues to opportunities in our financial lives. Learning the language of money has become instrumentally important due to an ongoing widespread dialogue surrounding the financial literacy education gap in America. Currently, two-thirds of American adults are said not to be able to pass a basic financial literacy test, 54% of Millennials express worry that they will not be able to pay back student loans, and only 16% between the ages 18-26 feel very optimistic about their financial futures. People say all the time I’m freaked out by the stock market; I’m freaked out by all of these things. And all we really have control over is ourselves. This is a deeper component of the conversation because how we each interact within these markets permeates all aspects of our lives. By founding The Money School, Lapin has created opportunities to support each individual learner where they are in their financial growth journey. Given that so often financial learning exists within traditionally broad topics explored in school such as macroeconomics, by meeting the individual learner where they are in the process Lapin shares practical hands-on tips and tricks—from writing checks to completing taxes or making a budget. The Money School is an online community Lapin created where she shares a 12-step plan for helping others get their financial lives together. This plan has been tested in both of her books and the third book due to hit shelves soon. Traditionally, readers and students have found the guides to be easy to follow and iterate upon. …Admitting you have a problem—and we all have problems—so that you can do something about it. From there, I wanted to create interactive video lessons, worksheets, and quizzes for the school community. Then bring in some cool experts and friends that I know from the business world to help along the way. To start achieving your money goals today, Lapin shares: “We really need to focus on our endgames and goals.” To cover these two areas, she recommends breaking down: 1) a spending plan into three E’s—essentials, endgame, and extras, and 2) goals into three F’s—family, finance, and fun. The Money School founder uses these alliterations to explore how we can look at our goals holistically due to our work lives and personal lives overlapping in numerous ways. In order to achieve true happiness, “we must achieve happiness in all areas,” she shares. Additionally, when it comes to creating plans for money matters Lapin encourages those who wish to become financially fit to pursue money from a place of aspiration versus deprivation—mentality plays a crucial role in the process. For example, a person aspiring to build wealth settling to clip coupons and digging in the couch for coins may have greater adverse effects than one focusing on creating a savings plan. …Figure out where you aspire to go and then reverse engineer your actions. The more I’ve been able to be real, the closer I’ve gotten to reaching my goals and you can too! For me, I had to get to a place where I was super vulnerable, authentic, basically naked, sharing all the stories I wanted to whiteout in the past when I tried to pretend I was perfect. Doing the internal work, only I could do for myself, made all the difference. The process to change the national school calendar kicked off last month and will end in September 2022, the State Minister for Primary and Secondary Education, Isaac Munyakazi, has said. Munyakazi said this week that the changes are motivated by several reasons, among them, the need to align the school calendar to the national budget. “The school calendar is not in sync with the national budget. This means that the education activities and other development activities are running on different timelines and not based on the fiscal year which is not convenient,” he said. Munyakazi also pointed out that another reason for the change is to reduce the period A’Level students are spending in vacation. “We felt that it was necessary to synchronise the primary and secondary school calendar with the one of the universities so that we cut on the long period of time which A’Level students had to wait before joining university,” he said. There was also need to synchronise performance contracts with the fiscal year. Munyakazi explained that though the changes in the school calendar were discussed at the Umushyikirano National Dialogue, his Ministry had been looking into making the changes though it required a big budget and time. “Obviously we have started working on these changes but this process requires a lot in terms of changes and budget. 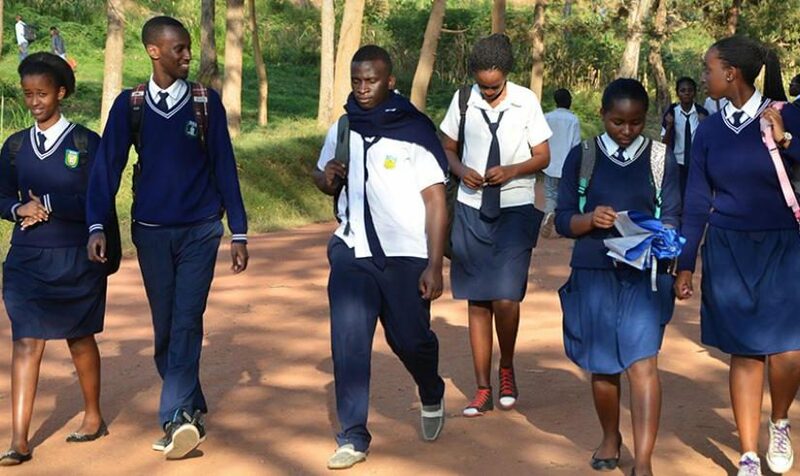 The last changes we made to the school calendar cost us Rwf7.2bn,” he said. The Director General of the Rwanda Examination Board (REB), Dr Irénée Ndayambaje, recently told The New Times that the revision of the calendar will be done in a way that it does not affect the curriculum implementation. “People will be aware of the changes and get prepared in advance. This revision will, however, not affect the academics. The new calendar will come into effect when everything is in place,” he said. In August last year, the Ministry of Education released a slightly revised school calendar for both primary and secondary schools for the 2019 academic year, which saw the holiday period shortened. Indian public schools are seeing a systemic decline in enrolment, resulting in the massive growth of small and tiny government schools. According to a recent article by economist Geeta Kingdon, 419,000 (40%) of government schools had total enrolment less than 50, and 108,000 schools (10.3%) were “tiny” schools with enrolment of less than 20. Although the Indian public school system has addressed the problem of access, it has failed to withstand competition from private schools. These failures of the public school system call for an overhaul of the structure of schooling in India, especially at a time when the new education policy (NEP) is being drafted by the Kasturirangan committee. Physical access to neighbourhood schools is now a reality, with 96% of the villages having an elementary school within a radius of 3km. However, physical access does not ensure adequate learning. 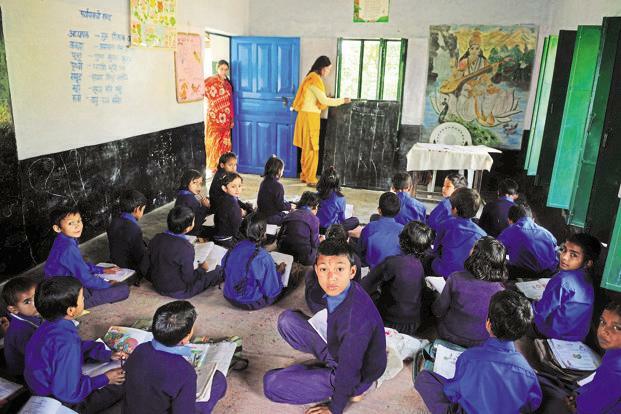 Ten years of annual survey of education report (Aser) surveys and national achievement surveys by the National Council of Educational Research and Training (NCERT) have revealed a nationwide learning crisis. The first to exit dysfunctional public schools are those from better socio-economic classes, and the disadvantaged suffer. Studies have revealed that students drop out mainly because schools are not attractive physically and pedagogically. Better learning outcomes need functional schools—not just mere physical access. The right to education (RTE) Act has defined norms for providing functional access such as pupil-teacher ratio, teacher qualification and infrastructure facilities such as availability of toilets, drinking water, library and playgrounds. However, in addition, we need enough teachers and staff per school, subject teachers in the higher grades, and pedagogical support for the teaching-learning process to make the schools functional. The complex school organization structure across different levels, such as primary, upper primary and secondary schools, and multiple managements (within government and private) break the continuity in schooling, leading to higher dropout rates. There is no need to have separate primary-only schools when the constitutional mandate is completion of primary and upper-primary classes up to class VIII. With universalization of secondary education on the table, schools from primary to secondary should be integrated and secondary education should integrate vocational education to provide gainful employment. Composite schools can be created through vertical integration across levels and a consolidation of neighbourhood schools to increase school size, ensure better rationalization of teachers and avoid multi-grade teaching. Consolidation brings efficiency, provides better facilities, trained teachers, more comprehensive curriculum, broader extracurricular activities and diverse social experience. Many states such, as Andhra Pradesh, Rajasthan, Odisha, Himachal Pradesh and Maharashtra, have attempted to consolidate the schools (under names such as school rationalization, mainstreaming, amalgamation and integration) at the primary and upper-primary levels. Rajasthan has undertaken school mergers on the largest scale. About 17,000 schools were ordered to be merged, out of which 12,944 primary and 1,728 upper-primary ones had been merged as of 2016. However, these attempts have been made without adequate study of the need for consolidation and its impact on children in local communities. School location decisions have to consider the optimal match of schooling demand with supply in the neighbourhood without compromising functional access. The following guiding principles could be followed for consolidation and restructuring: 1. Create before you destroy—construct a functional school infrastructure and appoint teachers in the consolidated school prior to shutting down schools; 2. No child left behind—school consolidation should not result in denial of access to any child; all possible transportation options should be explored, in case consolidation leads to difficulty in physical access; 3. Consult before consolidation—consolidation must be done with the consent of the community through consultations, and the alternative must include consensus on school location, transportation, etc. ; 4. Vertical integration—school consolidation should ensure vertical integration across different levels. Current norms for neighbourhood limits for schools are at different levels: primary schools within 1km, upper-primary schools within 3km and secondary schools within 5km. A common norm for all levels of schooling, with adequate flexibility to suit local conditions, could ensure vertical integration. Administratively, this requires the merger of Sarva Shiksha Abhiyan (SSA) and Rashtriya Madhyamik Shiksha Abhiyan (RMSA) at the Centre (which the ministry of human resource development is contemplating), and primary and secondary education bodies under the departments of education in states. The Central and state governments should act as facilitators for consolidation and desist from taking a one-size-fits-all approach. Consolidation should be a local exercise—best decided by local authorities. The state governments should act as facilitators to the process of school rationalization by providing technical and financial support and capacity-building of local authorities. 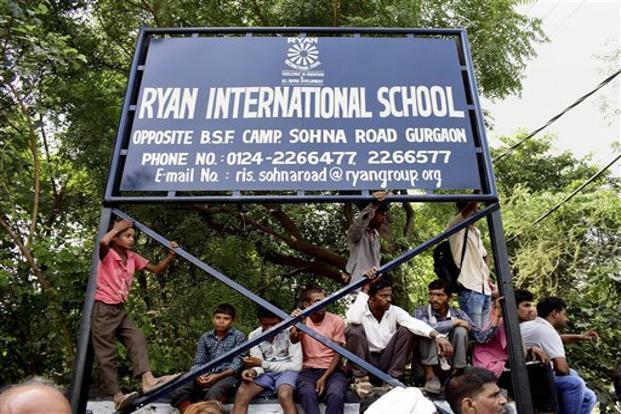 New Delhi: A Class 11 student who allegedly wanted the parent-teacher meeting and exams to be postponed has been apprehended in connection with the killing of a seven-year-old boy in Gurgaon’s Ryan International School, the Central Bureau of Investigation (CBI) said on Wednesday. In a sensational twist to the case, the high school student, who is about 16 years old, was apprehended late last night for allegedly killing his junior inside the school, said a CBI spokesperson. Pradyuman, a Class 2 student of the school, was found dead with his throat slit by a sharp-edged weapon on the morning of 8 September. Officials in the agency said the crime was committed in just three to four minutes. The CBI has not found any evidence so far against bus conductor Ashok Kumar, who was the Gurgaon Police’s sole accused in the gruesome killing, CBI spokesperson Abhishek Dayal said. The murder weapon, a knife, was found in the commode of the toilet where the killing allegedly took place, he said. It was the same knife seized by the Gurgaon Police. According to the agency, the Class 11 student, believed to be weak in his studies, allegedly slit Pradyuman’s throat to get the school to declare a holiday in order to defer a scheduled parent-teacher meeting (PTM) and an examination. He said the agency analysed CCTV footage, showing the movement of people in and out of the toilet, on the basis of which it narrowed the list of suspects. The agency has not found any evidence of sexual assault, he said. The CBI was able to piece together elements of the crime by analysing CCTV footage, scientific and forensic examination, analysis of the crime scene and by questioning students, teachers and staff of the school. Based on CCTV footage and crime scene analysis, the agency examined all potential suspects and witnesses. The list included 125 teachers and students, officials said. Ryan Pinto, owner of the Ryan International School chain, is yet to be questioned in the case. “The probe is still on. The first task was to identify the killer. It was a tough case. By the time the case was given to us, many persons were allowed to use the bathroom. We are questioning the teenager only between 10am to 5pm as per JJ Act provisions,” said an official. The mobile records of all the suspects were scrutinised and examined by the CBI’s special crime team. Although the Class 11 student had planned a killing on 8 September, the “child in conflict with law” had not identified his target, Dayal said. It was a coincidence that Pradyuman reached the toilet and became a victim of senior student’s ghastly plan, officials added. The father of the high school student told a television channel that his son was innocent and they had been cooperating with the police from day one. “My son didn’t do anything. He informed the gardener and teachers after finding Pradyuman’s body. He stayed in the school the entire day, and appeared for the exam. There was not even a single spot of blood on my son’s clothes,” the father said, his face pixellated to avoid identification. Giving details, he said Tuesday was the fourth time they were called. “I reached there around 11am… I left from there at 2am and CCTV footage can be seen for that,” he said. The CBI’s findings will be a major embarrassment for the Gurgaon Police, which had blamed Ashok Kumar and alleged that he was waiting in the toilet with a knife. The police had formed 14 SIT teams. Kumar, a resident of Ghamdoj village in Sohna, was hired by a school bus contractor around seven months before the killing. Villagers in Ghamdoj had said Kumar had been framed and he had no previous history of being involved in any crime. “Now that they have arrested this student, it is proof that the doubt we had about the police investigation was right,” Pradyuman’s father Varun Thakur told the media.